Loving Stilbite healing tumbled stones. Size: 1 inch and larger. Take Note: These will not travel well in your pocket with other stones. Being a softer stone, they will get chipped and/or cracked. I would recommend carrying in a pouch for a safer ride with you during your day. Stilbite provides a loving energy. It is useful in raising the consciousness to a higher plane providing enhanced intuition and access to astral travel. Connects the transpersonal point to the hara chakra and brings energy as information through the whole hara line. Aids psychic knowing, guidance and direction. Brings information about the soul and spiritual realities. Aids in core soul healing and increases the ability to receive spiritual energy and psychic information. Stilbite has a monoclinic crystal structure and is a Silicate in the family of Zeolites. They are considered young in the mineral world since they mainly form in lava deposits. Water that has seeped through the lava and dissolved minerals crystalizes in open pockets forming wonderful shapes. It is found all over the world with some of the nicest pieces coming from Brazil. While there are over fifty members of the Zeolite family, many individual types are not easily distinguished without complicated testing. Stilbite is one easily identified by sight and is mainly found as bundles of crystals that have grown intertwined. It's coloring can be yellow, brown, pinkish and white with a lusterous shine that almost looks like the crystals are wet. 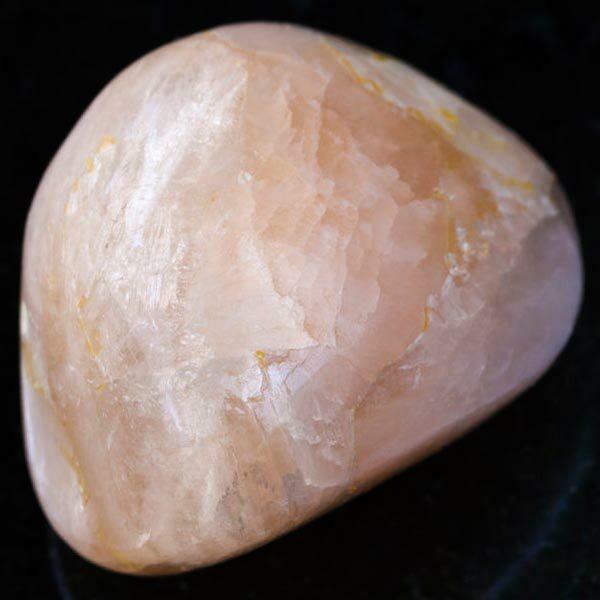 Stilbite is a wonderful stone to focus upon during meditation and quite beneficial when laid upon the Sacral Chakra. Stilbite provides a grounding energy to help manifest what has been learned on the spiritual level. It has a calming effect in accepting new ideas brought to our conscious mind. Stilbite aids us in synthesizing the physical manifestation of the creative process allowing the flow of intuitive ideas to come into being. Stilbite has been used in the treatment of brain disorders, to strengthen ligaments, to enhance toxin removal and for laryngitis. Stilbite, of every color, has a special affinity with Aries. It has a Receptive Energy, its Planet is the Moon, and its Element is Air. 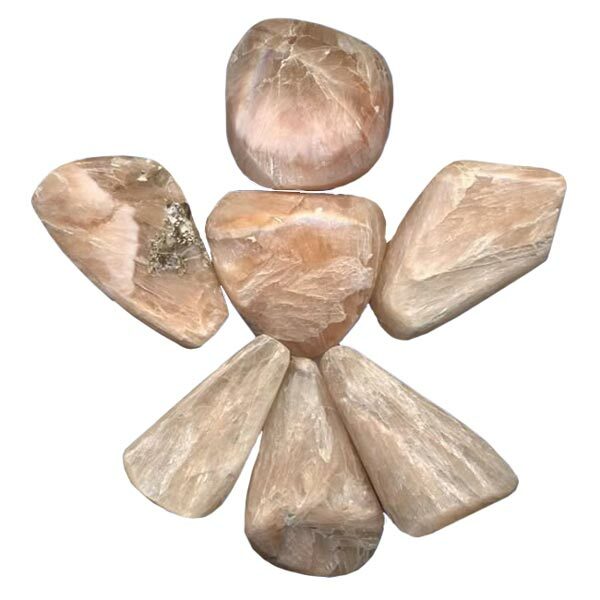 Stilbite is one of the stones that has been known to help one to obtain the astral state during meditation. It will help guide your flight above the world. If this is an experience new to your experimentation, it is good to keep a piece of Hematite nearby to ensure a good landing when your travels are finished.